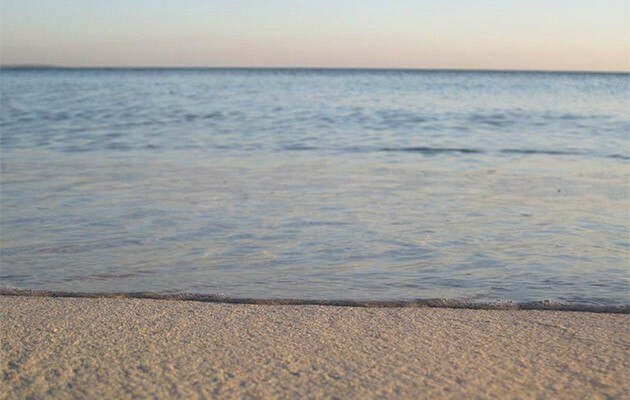 Only for Charming customers: one aperitif is included! 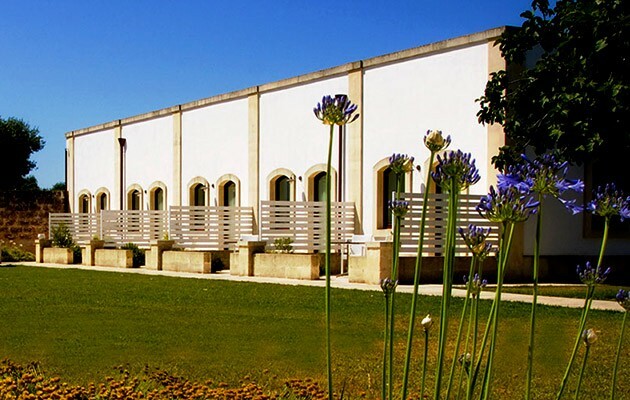 This hotel is set deep in the countryside, less than 10 km from the beaches of Torre Lapillo and Punta Prosciutto, both suburbs of Porto Cesareo. 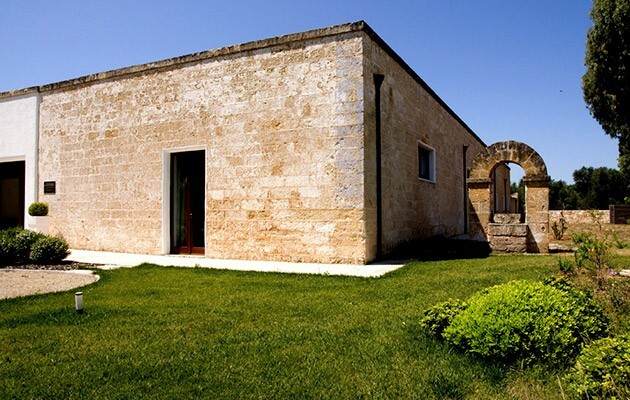 Engulfed by the silence of the Salento landscape, Masseria Corda di Lana is located about 30 km from Lecce and 69 km from Salento (Brindisi) airport. The farm most likely dates as far back as Mediaeval times, but the first historical records of its existence date back to the end of the 18th century with a text documenting its use as a place designated for work with huts for animals, troughs, straw, a storehouse for wares, a house for the shepherd, bread oven, a cistern and a well. 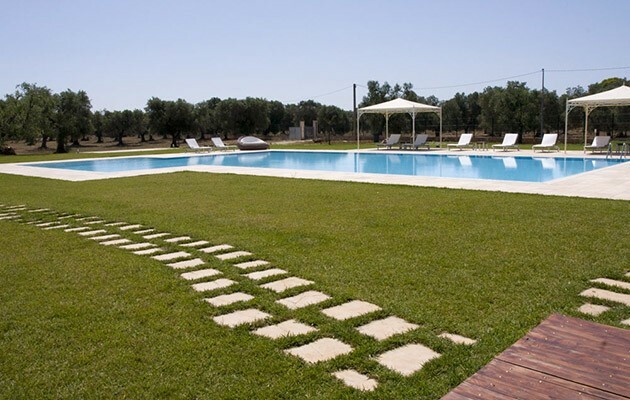 After several transformations, today Masseria Corda di Lana is a place of peace and revival; a place where you can recharge the batteries and feel at home, all the while enjoying dedicated and professional service. 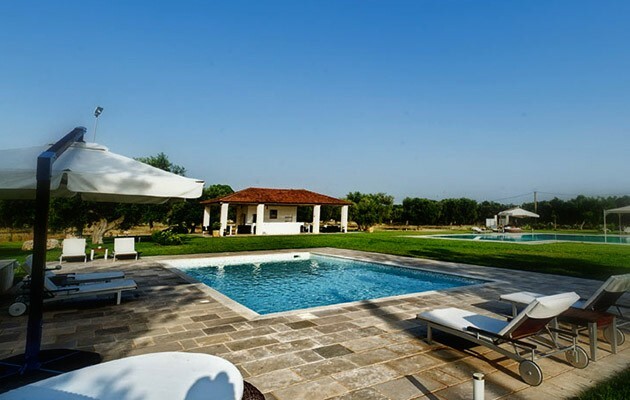 The 14 rooms at the Corda di Lana farmhouse all overlook the inner court which is presided over by a century-old fig tree and a silence only interrupted by the calls of the cicadas. Standard – 21 sq.m. entrance from the inner court, queen-size bed, bath with shower. 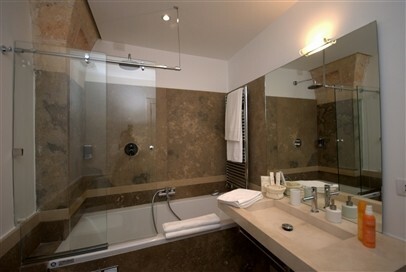 Junior Suite – 42 sq.m., one large room split into day and night areas; bath with shower. 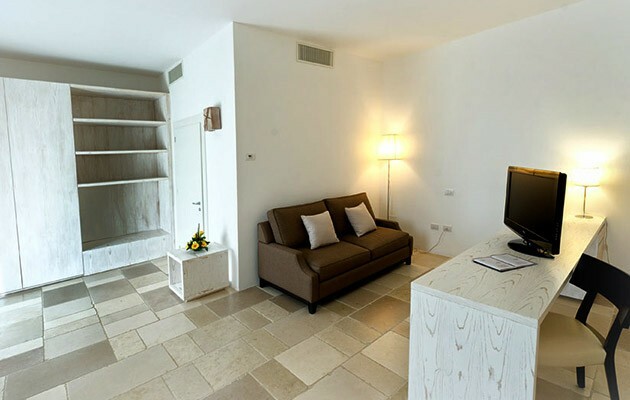 Superior – 36 sq.m., lounge area with sofa and armchairs, desk, bath with shower. 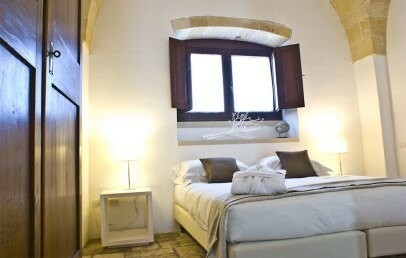 ‘Terrazzo’ Suite – 40 sq.m., day and night areas, small private terrace, bath with shower. 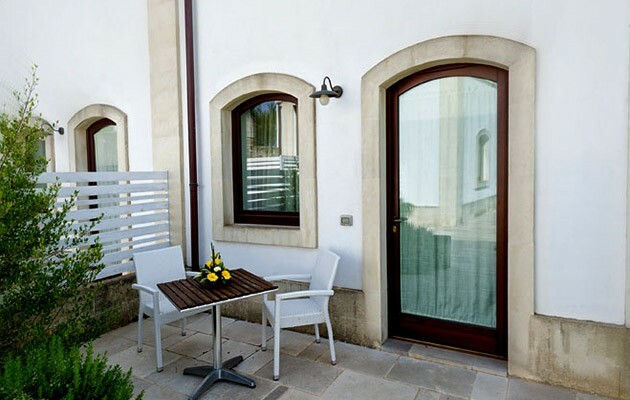 Suite ‘del Conte’ – 55 sq.m., the hotel’s most exclusive room; living room with 17th century fireplace, a king-size canopy bed; hydromassage tub and shower; small terrace. 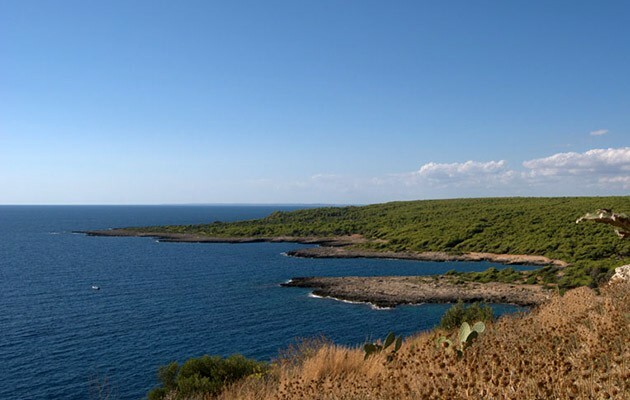 The closest beaches are the ones in Porto Cesareo and its suburbs: Torre Lapillo and Punta Prosciutto – a marine area where guests can explore underwater life on guided tours to see coral formations and Neptune Grass. 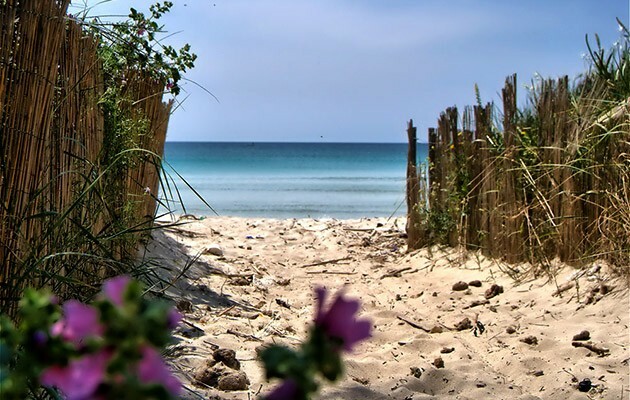 Along the coast, guests will find a serviced beach as well as several public bathing spots. 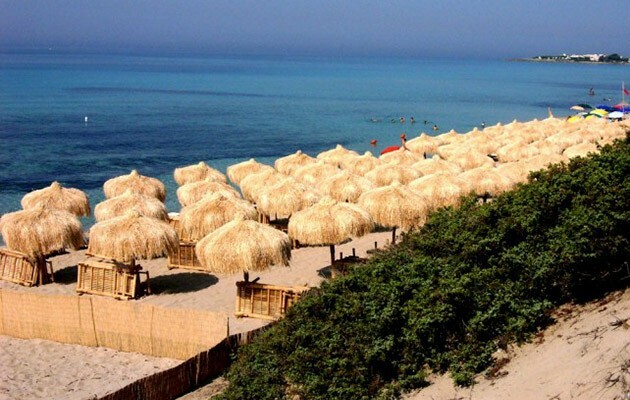 Other beaches that are well worth a visit include the stunning beaches of Salento, like Porto Selvaggio and Torre Colimena. 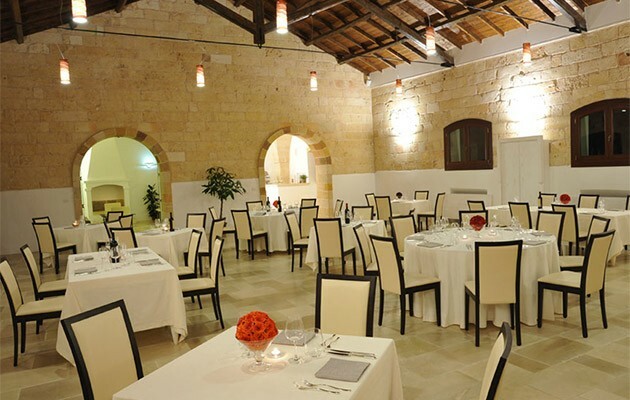 Masseria Corda di Lana’s restaurant – La Capriate – has a large white-coloured dining room that boasts a country-chic style with exposed beams and stones. On summer nights, the restaurant moves to the inner court where guests can dine engulfed by the fragrance of Mediterranean plants. The chef’s creative streak – his ongoing search for new experiments – delights guests’ palettes by mixing traditional flavours with modern elements. Fresh seasonal products purchased daily from local producers and fishermen are always first choice. 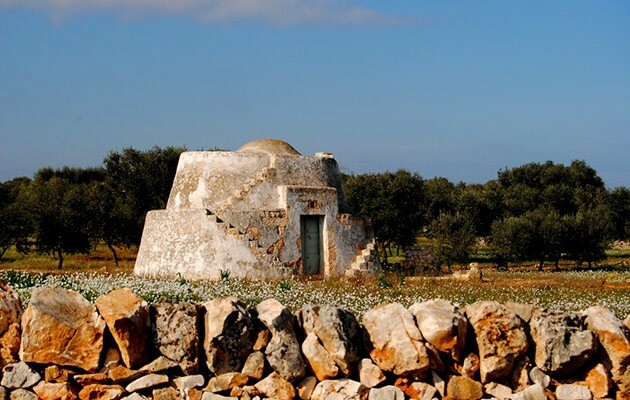 The extra-virgin olive oil is, of course, locally produced. 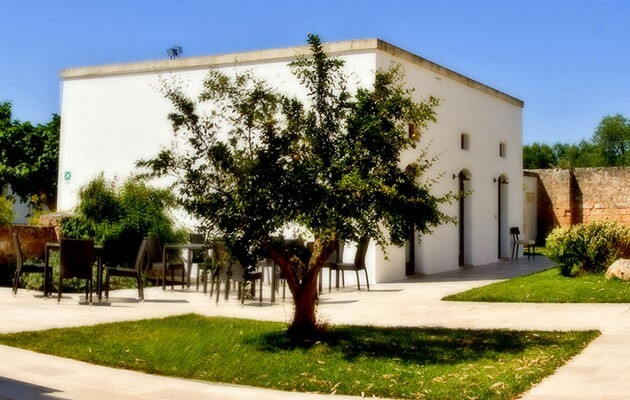 Mornings at Masseria Corda di Lana kick off with a breakfast buffet of local, handcrafted products. The sweet delights on offer include pies, cakes, doughnuts, artisanal jams, bread, fresh yoghurt and freshly-squeezed orange juice, while on the savoury side there are traditional products from local producers like tomato friselline as well as a selection of cured meats and cheeses. 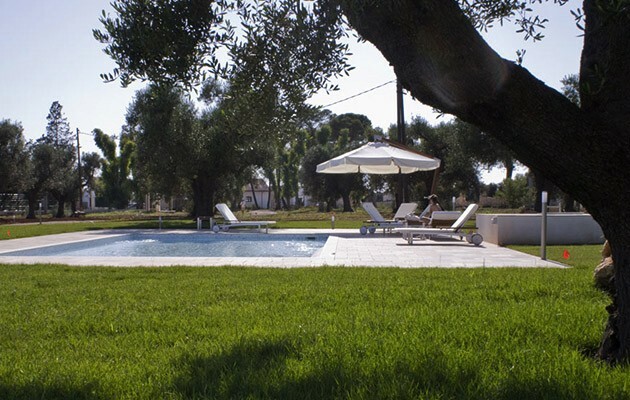 Nestled in the ancient olive groves, the two stunning pools, one with a hot tub, are available for guests’ enjoyment.At sunset, guests can sit back and sip on excellent cocktails prepared with fresh fruits, served at the pool side. 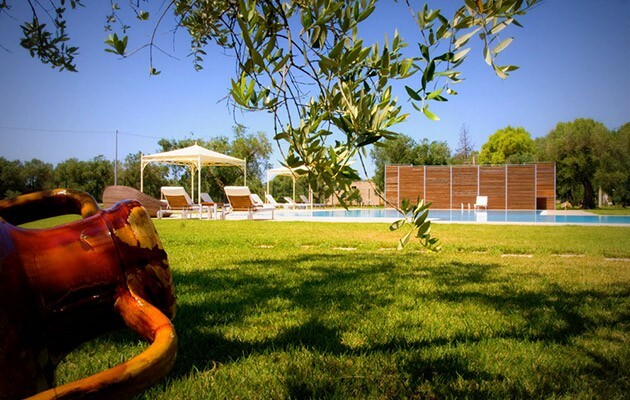 Guests can also take advantage of the tennis court surrounded by Mediterranean vegetation, or go jogging among the olive trees. 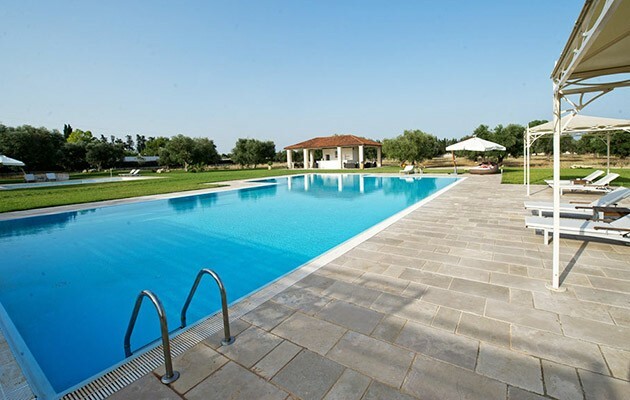 The pool is open from May to the end of September and access is at the management’s discretion, dependant on weather conditions. 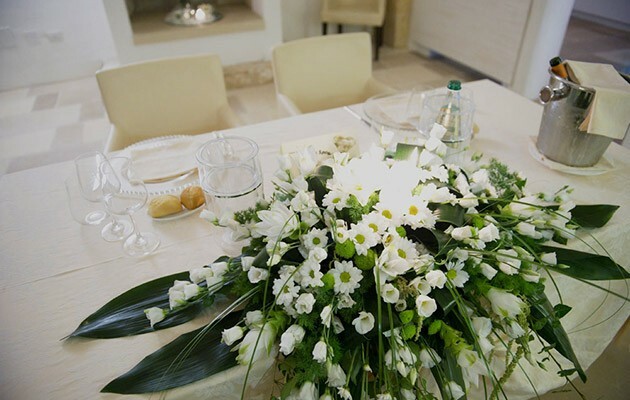 Dinner – 08.00-10.00 pm (for children, on request, from 19.30). Menu of the day. 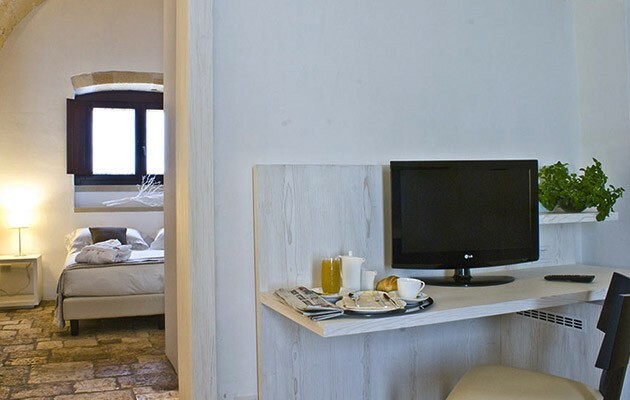 Furnished in a modern style with one eye firmly fixed on tradition, standard rooms have box spring beds with a wooden headboard and ceramic handcrafted decoration. 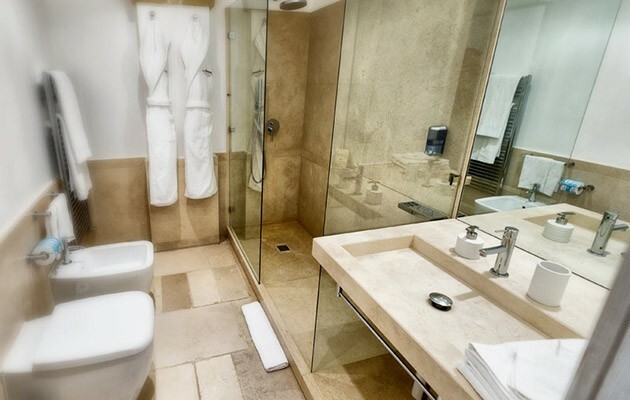 Direct entrance from the inner court, bathroom with tempered glass shower cabin and complimentary Wi-Fi connection. 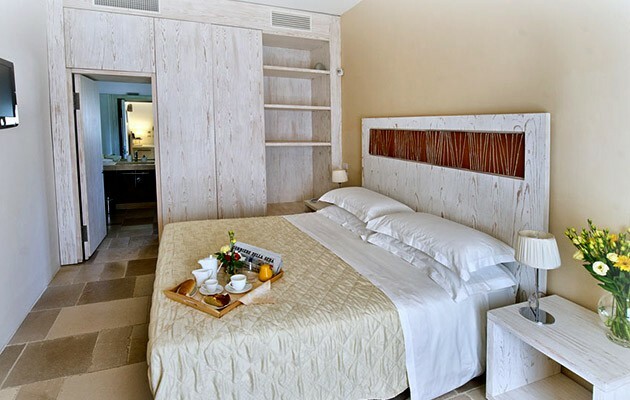 Elegant and spacious, the Junior suites offer a king-size bed with wooden headboard with handcrafted ceramic decorative inserts. 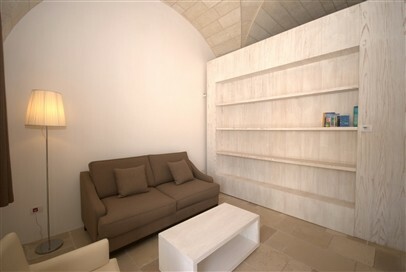 They are set up as one large room split into a night zone and a day area with sofa and armchair. 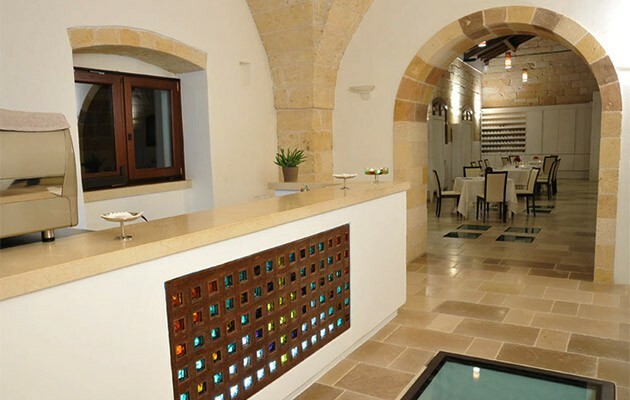 Decorated in natural colours and with great attention to detail, as well as stone floors, these suites have been designed to allow for easy access and a delightful stay for all guests, including our disabled guests. Large tempered glass shower box. Complimentary Wi-Fi connection. The perfect mix of modern and traditional: these suites combine the warmth of a house from days gone by with the luxury of modern day comforts. 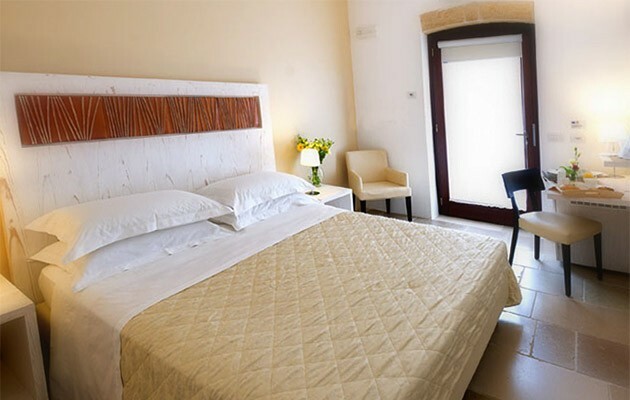 One large room split into day and night areas, these suites have either a king-size box spring bed or a king-size wrought iron bed with a wooden headboard with handcrafted ceramic decorative inserts. The day area offers a sofa bed and pouffe that can be turned into a comfortable small bed. 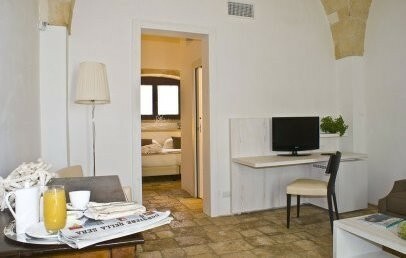 Small private terrace overlooking the courtyard with lingering Mediterranean scents. Complimentary Wi-Fi connection. The most exclusive suite in the resort offering a bedroom and separate living room with a sofa, armchair and 19th century fireplace. 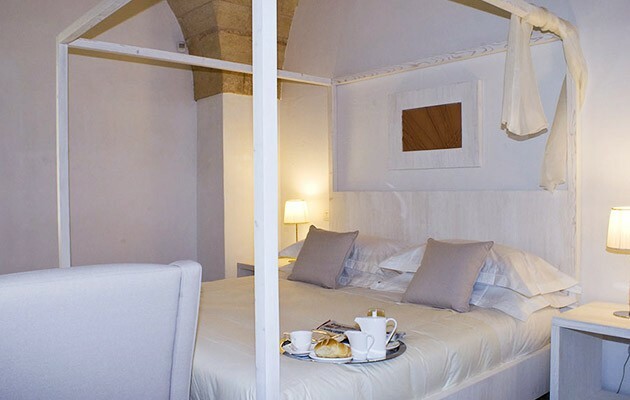 The bedroom is furnished with a king-size canopy bed with handcrafted terracotta inserts, a 19th century armoire with dressing table, and a chaise longue. 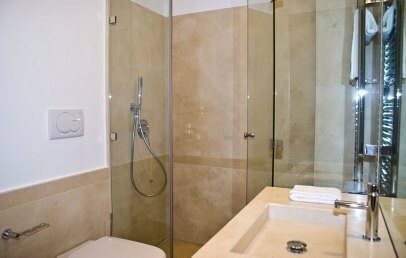 Bathroom with walnut travertine walls, Trani stone washbasin, multifunction shower and hydromassage tub. Small terrace. Complimentary Wi-Fi connection. It furnished in modern style with an eye turned to the tradition. 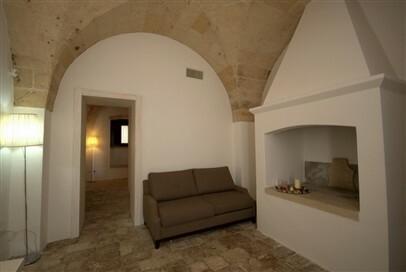 This suite is the most beautiful and one of the ancient rooms of the Masseria, with the particularity of vaulted ceilings and floor with original stone. 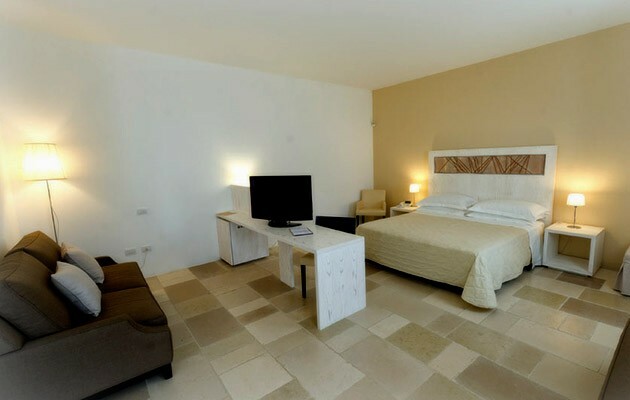 It offers a bedroom with bathroom with shower and living area with sofa. Complimentary Wi-Fi connection and Sky TV. 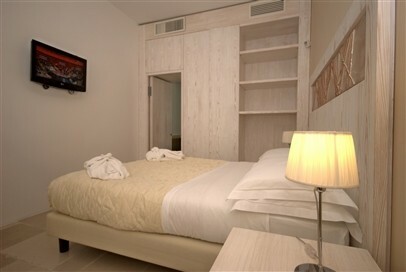 In the Standard rooms it is not possible to add a baby cot and the infant will have to sleep in the parents' bed.